Frenchman Henri Pequet left Allhbd with a mailbag containing 6,500 letters and postcards. The English mechanic Aichin can be seen in the foreground. 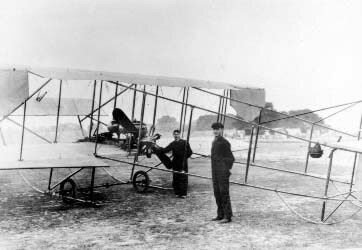 The first postal flight was made on February 18, 1911, during an agricultural and industrial exhibition held in Allahabad, India. Henri Pequet, a 23-year-old pilot, had gone to India to take part in an acrobatic show, and, during the course of the event, he transported 6,500 letters from Allahabad to Naini, two cities located 10 kilometres apart. Each letter was marked with the special seal: First Aerial Post, U.P. Exhibition Allahabad 1911. 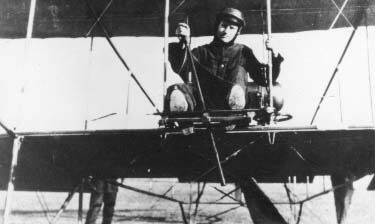 Henri Pequet ready to leave Allhbd aboard a Sommer airplane with a 50 hp Gnôme engine, February 18, 1911.